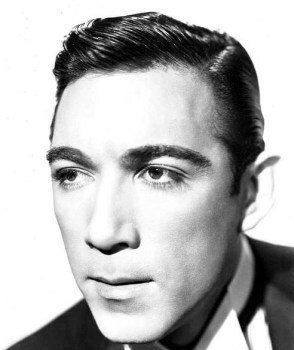 Anthony Quinn was a Mexican-American stage and movie actor. He is most famous for his portrayal of "Zorba the Greek" in 1964, for which he won a Best Actor Academy Award and during a career of almost 70 films, he appeared in both starring and supporting roles on many other acclaimed and successful movies, such as 'The Guns of Navarone' in 1961, 'Lawrence of Arabia', in 1962, 'Last Action Hero' in 1993 and 'A Walk in the Clouds' in 1995. As well as his 1964 Oscar win for Best Actor he twice won the Academy Award for Best Supporting Actor: in 1952 for 'Viva Zapata!' and in 1956 for 'Lust for Life'. He was born Antonio Rodolfo Quinn Oaxaca on April 21, 1915, in Chihuahua, Mexico. His father,who was of mixed Irish and Mexican descent moved his family first to Texas and then to Los Angeles, where he found work as a cameraman at the Selig film studio. Through his father Quinn made regular visits to the studios and met movie stars such as Tom Mix and John Barrymore. His father died in a road accident in 1926 and the young Quinn was brought up by his mother as a strict Catholic, at one time even contemplating a career as a priest, but in his early teens he became a devout follower of the Aimee Semple McPherson Pentecostal Church. He played saxophone in the church band and was affected deeply by the powerful oratory of McPherson, whom he credited with inspiring Zorba's gesture of the dramatically outstretched hand. He was a gifted artist and won a design competition which enabled him to study architecture under Frank Lloyd Wright. In order to help support his family, Quinn took work wherever he could, including professional boxing, but eventually he was persuaded by Wright to take acting lessons and consider the stage as a career. After a brief flirtation with the stage in 'Hay Fever' in 1933, and with Mae West in 'Clean Beds' in 1936, Quinn appeared in his first credited role on screen in the crime drama 'Parole' in 1936. He also appeared as an Indian in 'The Plainsman' in 1936 and in uncredited roles in several other Hollywood movies in that year. He had found his vocation. In 1937 Quinn appeared in 'Swing High, Swing Low', and, helped by its star, Carole Lombard, with whom he was having an affair, he began to get steady, good quality supporting roles in a variety of films, such as 'The Road to Singapore' in 1940 with Bob Hope and Bing Crosby. For the remainder of the decade he continued to build a strong reputation for quality and reliability in movies such as 'Blood and Sand' and 'They Died with Their Boots On' in 1941, 'The Ox-Bow Incident' in 1943, and 'Back to Bataan' in 1945. His career really took off, strangely enough, after he returned to the stage. He made his debut on Broadway in 1947 in 'The Gentleman from Athens' and then was cast by director Elia Kazan in the prime role of Stanley Kowalski for a long U.S. tour of 'A Streetcar Named Desire' from 1948-49. This put him under the spotlight and he stood up to it well. As a result he was cast by Kazan as Marlon Brando's brother in 'Viva Zapata' in 1952, for which he earned his first Oscar as Best Supporting Actor. It also earned him Hollywood star status. Quinn continued to appear in high quality movies in starring or supporting roles for the rest of his career. In 1955 he portrayed an aging bullfighter opposite Maureen O'Hara in 'The Magnificent Matador' and the following year he won his second Best Supporting Actor Oscar for his portrayal of Paul Gauguin in "Lust for Life"opposite Kirk Douglas's Vincent Van Gogh. In 1957 he received another Academy Award nomination, this time for Best Actor, for his performance in 'Wild is the Wind'. During the 1960s Quinn gradually evolved into a genuine character actor as his appearance changed from smooth leading man to weather-beaten survivor. He appeared on Broadway to great acclaim in Becket, as King Henry II to Laurence Olivier's Thomas Becket in 1960. In 1961 he played a resistance fighter in the highly popular 'Guns of Navarone', then in 1962, a boxer in 'Requiem for a Heavyweight' and a Bedouin nomad in 'Lawrence of Arabia'. He received another nomination for the Best Actor Oscar in 1964 for 'Zorba the Greek' and the successes continued with 'The Secret of Santa Vittoria' in 1969 and as a fictionalized Aristotle Onassis in 'The Greek Tycoon' in 1978. He continued his movie career whilst he also experimented with television acting, starring in the series 'The Man and the City' from 1971-72 and in Franco Zeffirelli's 'Jesus of Nazareth' in 1977. In 1983 he earned a Tony nomination for his performance in a Broadway re-run of 'Zorba the Greek' and then toured the Usfor three years with the show. Late in his career he continued to appear with Hollywood's top stars appearing opposite Kevin Costner in the thriller 'Revenge' in 1990. Quinn's final screen appearance was as mob chieftain Angelo Allieghieri in 'Avenging Angelo' a film which was released posthumously. Quinn was a passionate man who wore his heart on his sleeve. Women loved him and during his life he had many affairs with, amongst others, Maureen O'Hara, Rita Hayworth, Ingrid Bergman, Marlene Dietrich, Barbara Stanwyck, Lupe Velez, Evelyn Keyes, Shelley Winters, Margaret Leighton, Yvonne de Carlo and Carole Lombard. It is a lengthy list and could be considerably longer. In addition he found time to be married three times. In 1937 he married actress Katherine DeMille, who was the adopted daughter of the famous director. They had five children and divorced in 1965, because of Quinn's affair with Italian designer Yolanda Addolori whom he met in Rome on the set of 'Barabbas' in 1961. Yolanda became his second wife in 1966 and the couple had three children and divorced in August 1997. Before that Quinn had two children with event manager, Friedel Dunbar, and then a further two children with his secretary, Katherine Benvin Katherine became his third wife in December 1997 and remained married until Quinn's death. Quinn lived out the later part of his life in Bristol, Rhode Island, where he spent most of his time painting and sculpting. He underwent successful quadruple heart bypass surgery in February 1990. Anthony Quinn died of pneumonia and throat cancer in hospital in Boston, Massachusetts on June 3, 2001. He was 86.